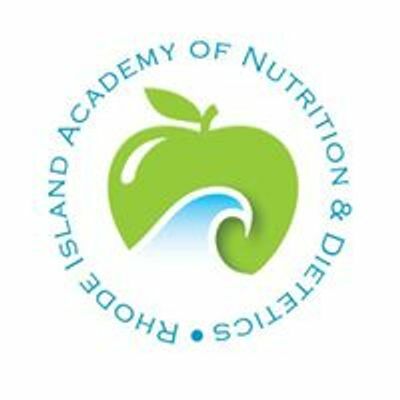 The 16th Annual RIAND Nutrition Fuels Fitness Road Races and Health Expo to benefit the AHA will be held at Goddard Memorial State Park on April 7, 2019. ��We also have a 10K, so there are two USATF sanctioned and certified courses to choose from! 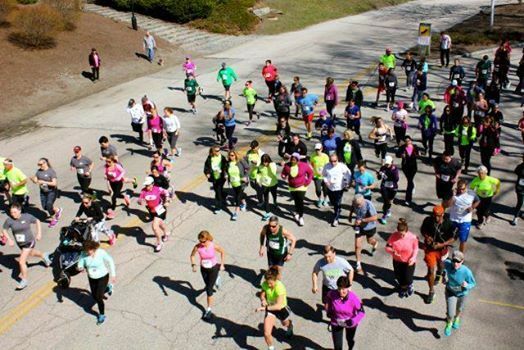 ��This run is open to runners, joggers and walkers of all ages. The course is a beautiful 10 km and 5 km run along the paved roads of Goddard Park with views of the bay. This is a chip timed USATF sanctioned race with prizes for winners in several categories. ��Both the 10K race and the 5K race will start together at the Goddard Carousel promptly at 10AM. ��The 10K is a double loop of the 5K course. ��Please bring a non-perishable food item to donate and receive a free raffle ticket for each item donated! Families can run together in the Color Me Red 1 mile Fun Run! We recommend red clothing, the more the better! We encourage red accessories – boas, sunglasses, tights, tutus shoes! We will also offer red face and body painting for a fun running experience for all! ��The 1 mile race will start promptly at 9:30 AM. MEREDITH NELSON AWARD - Be the FIRST to register for the run (5k or 10k)! �This award honors Meredith Nelson who ran Organization+ Race Management systems for many years. She helped guide RIAND every step of the way to establish this phenomenal event now in its 16th year. Packet/T-shirt pickup will be on April 7, 2019 starting at 7:30am at the Goddard Park Carousel. ��Race day registration begins at 8:00am and will conclude at 9:30am. Registration on race day for the 10K will be $40. �Registration on race day for the 5K will be $30. �Registration on race day for the 1 mile race will be $15 for Adults and $12 for Kids 14 & Under. 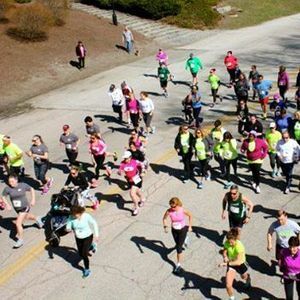 ��Advanced Online registration for the 10K will be $35 �Advanced Online registration for the 5K will be $25 �Advanced Online registration for the 1 mile race will be $12 for Adults and $10 for Kids 14 & Under �PLEASE REGISTER ONLINE NOW TO SAVE! !